The cigar industry is generally not given to radical creativity. There is a market for adventure seekers, folks who like flavored stuff and cigars with multiple wrappers, but for the most part staid and conservative tradition sells more cigars than hip new trends. Just ask Padron. Style and substance must be carefully balanced. I myself am not particularly interested in a haute couture cigar, no matter how interesting it looks, if it doesn’t smoke well and taste good. And I know I’m not alone. And so there are a lot of smokers who will be suspicious of a cigar composed of “non-traditional” tobaccos, particularly when it comes with an unwieldy brass gear where a band should be. That is what the Foundry cigar is. I find the cigar’s “steampunk” cachet somewhat distracting, but putting that aside, the cigar itself is still striking in a conventional way. My first impression is that this stick might be able to pull it off. 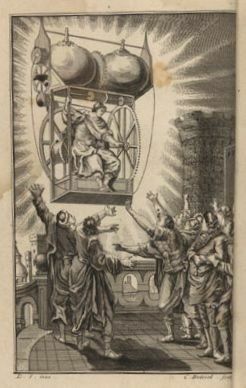 The wrapper is a proprietary Connecticut leaf called H-47 Pleno Sol. It looks like Connecticut Shade, but darker and more oily. The rest of the cigar is simply “non-traditional,” meaning not Nicaraguan, not Dominican, and not Honduran. We are awash in mystery here. The gear slips off the Foundry toro (Wells) with only a little resistance, leaving in its wake a less mechanically endowed but still attractive cigar. The wrapper is a dark golden brown, oily nearly to the point of gloss. There are a few veins, but they don’t distract from the overall appearance of the stick. The roll is solid, maybe a touch too firm on one of the samples, but the draw is still quite serviceable and the burn is even. It is immediately apparent that this is a unique blend. 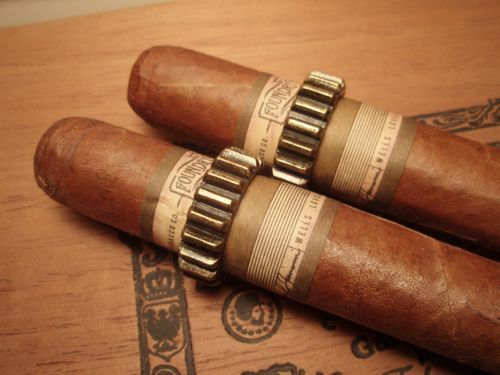 The Foundry is a mild tasting cigar, but it is distinctive and aromatically very rich. The aroma makes an initial impact with sweet notes of malt and honey. The flavor on the palate is earthy, perhaps a bit musty, and has a slightly bitter tang. There is very little aftertaste in the first half of the cigar, but the tannic bitterness on the tongue is pronounced and blends in an interesting way with the sweetness of the aroma. 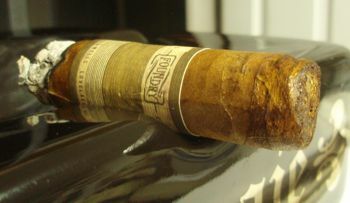 The smoke is full-bodied in texture despite its mild strength. There isn’t much development in the second half of the cigar, which I found a little disappointing in a cigar of this size, but its aromatic qualities continue to impress. There is a sweet bready quality to the smoke which is quite pleasant. Unfortunately, the bitterness on the tongue continues as well. This flavor is a fairly common component of milder cigars, and blenders must include it by design, but I can’t say I’m a fan of it. I really enjoyed the idiosyncrasy of the Foundry, from the way it is designed and presented to the way it smokes. It’s built well and it’s aromatically delicious. But I had some difficulty with the bitterness on the tongue, and found it to be a bit too musty for my taste. It could be a fine beginner’s cigar, though, and smokers who venture into flavored cigar territory might want to give it a whirl. Standard retail price is around $8 USD per stick. And hang on to your gears! They will reportedly serve a purpose later on… Perhaps there is a steampunk convention in your future! Special thanks to General Cigar for providing samples of the Foundry Wells. As much as I enjoy a different approach, I have long ago moved past the Cracker Jack style of martketing – i don’t need or want a prize, just a good product, especially when that “prize” requires you to keep pouring money into future iterations of the product. That being said, I’m all for the concept of taking a side trip in terms of experimenting with non-traditional materials. I am fond of Brazilian Arapiraca and Mata Fina, as well as the fruitiness that Peruvian tobacco brings to the table. Unfortunately, it sounds like this one is not one I would really enjoy, and this is not the first review that has served to give me pause. I probably will try it sometime just to satisfy my curiousity, so thanks for the review. I think this was an honest effort at creativity, but I see your point. The proof is in the pudding, as pudding enthusiasts are wont to say. Suddenly I see Bill Cosby with a cigar in one hand and a bowl of pudding in the other. I guess I better quit before I start having other visions.